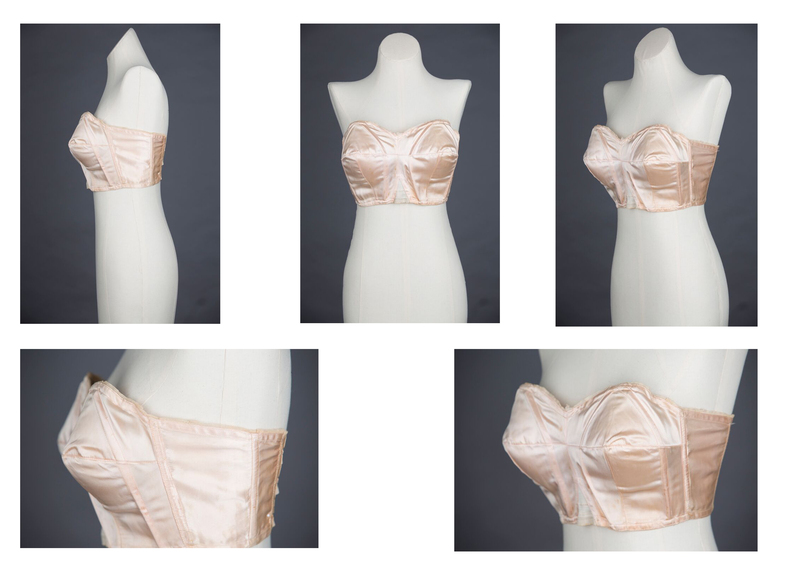 In 2017 Collaborative Unit students worked with the Underpinnings Museum, which focuses on the history of lingerie and its evolution through time. They wanted students to help across creative, curatorial and entrepreneurial disciplines, the students’ responses were then used as part of different exhibitions for the museum. MA Pattern and Garment Technology students (Yang Mu, Macarena Prada Leis, Alberto Atalla, Yanwen Chen, Mark Heah, Xiangte Chen, and Mengque Wang) undertook studies of archived pieces from the museum’s collection, each selected to represent a theme chosen by the museum. They were given expert guidance in how to handle each piece, and then developed a study of the cut and construction of the garments. 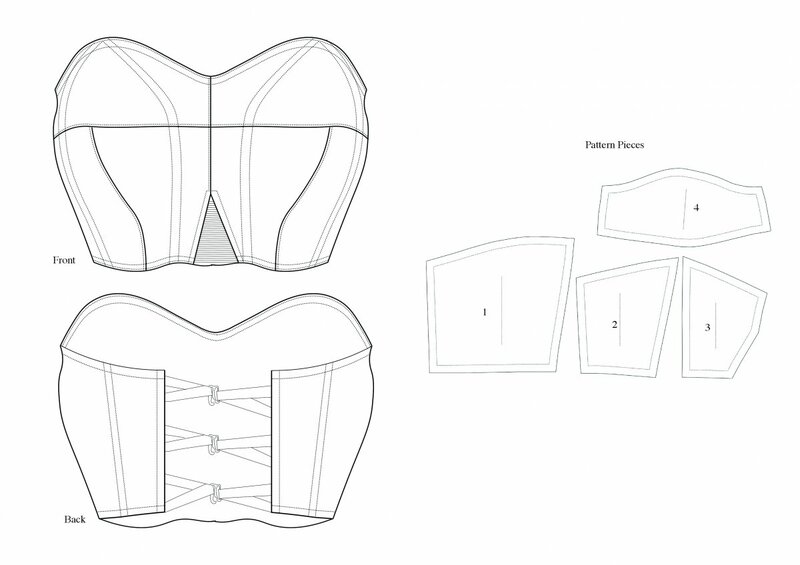 Specification drawings and construction methods for each item were created, alongside a draft of the pattern and digital copy. This work was made part of the ‘Remaking the Past’ exhibition, this displays the original objects chosen by the students alongside their reproduction, technical illustration and digitised garment pattern. Students Sarah Hardcastle (MA Fashion Media Production) and Gill MacGregor (MA Fashion Curation), worked towards a digital exhibition for the museum, surrounding the idea of unboxing. They wanted to uncover the excitement of the unseen archive and the first reveal of each piece. This resulted in a series of films showing the unboxing of pieces from the museum’s collection. Silk & Embroidered Tulle Bralet And Tap Pants By Owl Make, c. 1920s from The Underpinnings Museum on Vimeo.